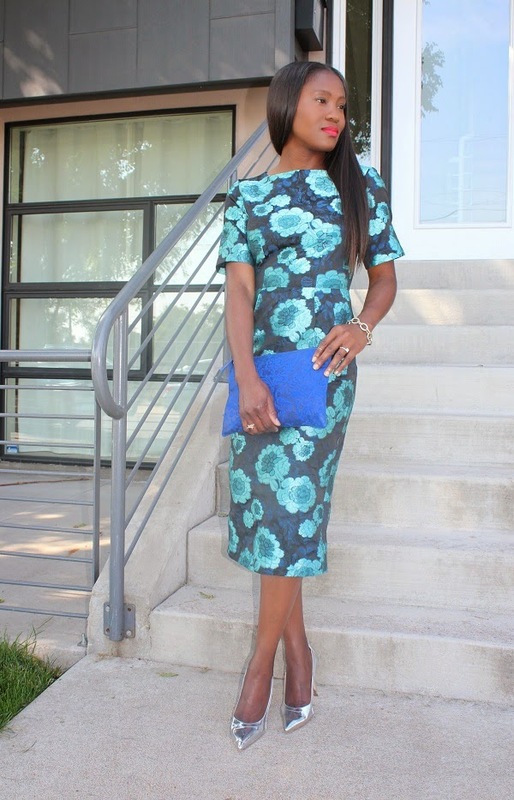 For a girl who usually does not gravitate towards fitted dresses, might I say I may have now been reformed? 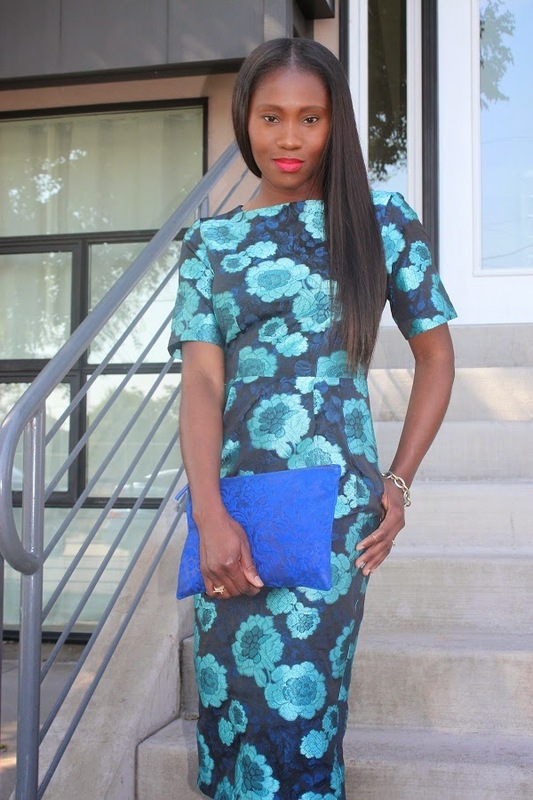 Love this jacquard print “wiggle” dress as described by the maker. The fabrication is wonderful, the colours are great and the fit is just right. 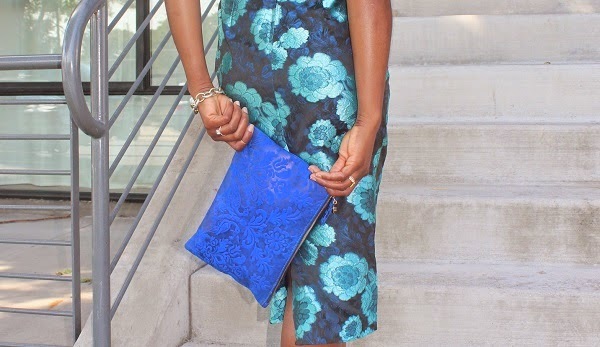 I decided to pair it with another print by pulling from one of the hues on the dress, this Clare Viver clutch felt right. 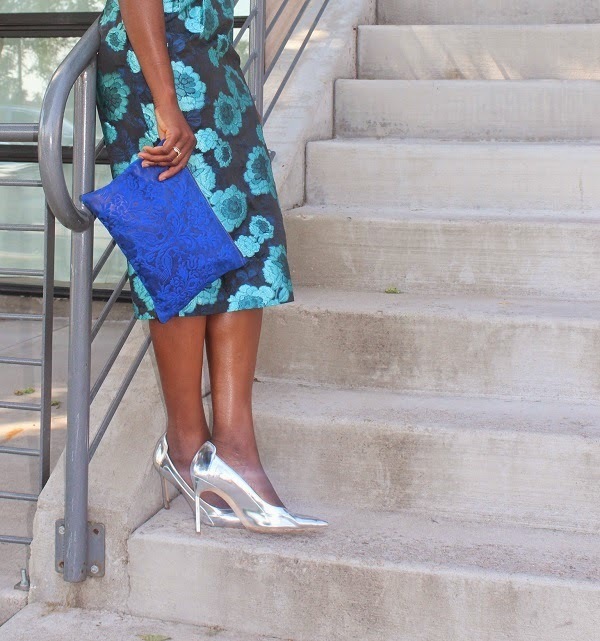 The jacquard (on the dress) on jacquard (on the clutch) did not feel overwhelming, not to mention the shade of blue from the clutch just added the right amount of wink to the look. 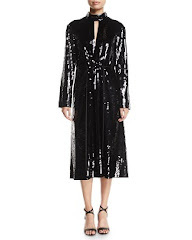 I opted for the metallic shoes because I did not want to overpower an otherwise vibrant look.